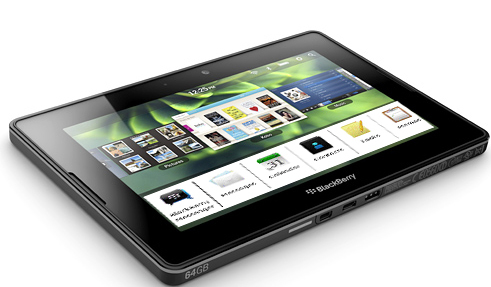 From the forums: Verizon Webinar BlackBerry PlayBook FAQ notes that native email, calendar and contacts are on the way! Forums member mediq91 dropped a bit of good info in the forums today in the form of a BlackBerry PlayBook FAQ taken from a Verizon webinar. The document contains a good summary of answers to all the common PlayBook questions like specs and BlackBerry Bridge, but nothing really new that we haven't seen before. It is good to see more solid information coming straight from RIM however. The cool thing to note is that native clients for email, calendar and contacts will be included in software versions down the road (it just won't be quite ready for the April 19th launch). We've been told by RIM on a few occassions now that the native clients would come to the PlayBook at some point, but this is the first time we've actually seen it in writing. Definitely good news for those of you worried that the tablet would be left without these native apps should you not have a BlackBerry to pair with it. It makes sense that these do need to be there before the QNX software hits phones down the road. Hopefully this native support will be ready to roll when we see the 4G version of the PlayBook hit this summer (it's just gotta have native BBM, don't you think?) or hopefully even sooner... I'm sure we'll learn more about this soon. So what are your thoughts? Does this make you any more motivated to buy a PlayBook now knowing the features will implemented sooner rather than later via a software update? Were you going to get one no matter what? Or does it not change the fact that you're still not sold on the PlayBook? Leave a comment and let us know then swing by the forums do downlad the full FAQ pdf and to discuss!